Art Clokey (October 12, 1921 – January 8, 2010) was an American animator, director, producer, and the co-creator of the character Gumby. Art was born Arthur Farrington in Detroit, relocated to California, and attended film school at USC. While at USC, he studied under Slavko Vorkapich, a pioneer of modern montage techniques. Gumbasia (1953) is a short film produced in 1953 by Art Clokey while at USC and released on September 2, 1955. It was the first clay animation produced by Art Clokey, who later used the same technique in Gumby and Davey and Goliath. Shortly after finishing school in the 1950s, he and his wife Ruth invented Gumby, a green clay humanoid character, at their Covina home. After a successful debut on The Howdy Doody Show, Gumby became the star of its own television show, The Adventures of Gumby. It was the first use of clay animation on television. Gumby went through several resurgences in popularity in the 1960s, the 1980s, and the 1990s. Today, Gumby is a cultural icon recognized around the world. 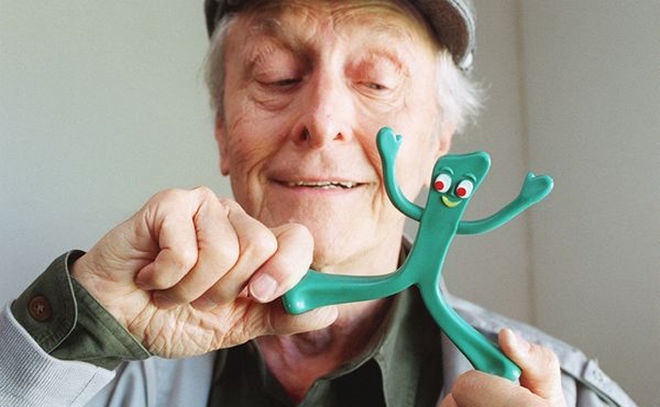 Art Clokey's films include Davey and Goliath (1960), Gumby Adventures (1988), and Gumby: The Movie (1995). He also designed and animated the title sequences to films like How to Stuff a Wild Bikini (1965) and Dr. Goldfoot and the Bikini Machine (1965).